BRAZIL, IND. 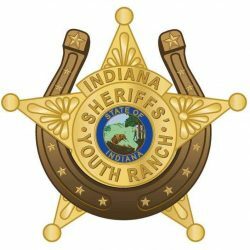 (April 15, 2019) – Using private donations and no tax dollars, Indiana sheriffs and deputies this weekend purchased their 62-acre not-for-profit Indiana Sheriffs’ Youth Ranch for future law enforcement officers, at-risk kids, young witnesses and victims of crime. Until now, the 62-acre property had been rented by Youth Ranch leaders for $1 per year from Tony and Sue Ardizzone, business leaders from Indianapolis who share ISYR’s vision of mentoring teens interested in public safety careers, bonding with underprivileged youth and comforting young survivors of crime – including sons, daughters and siblings of fallen first responders. The Ardizzones’s help allowed time for sheriffs and deputies to develop their plans and step up their fundraising. You can connect with the Youth Ranch through their Facebook page here.